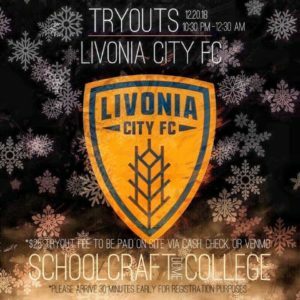 The Livonia City FC is looking to add competitive men’s players to three of their soccer teams. Tryouts are being held at the St. Joe’s Sports Dome for a $25 fee that can be paid onsite via cash, check, or Venmo. Please arrive 30 minutes early for the registration process.